We raised over $20,000.00 last year help us get there again this year and more. First Tag #00 Auction ends at 1:00pm and goes from there. Are you a Starboard VIP? If you are, we’ve got something really special for you! If you’re thinking about it, check out this great way to join the cool kids! LowDigitTags.com & the Starboard Restaurant are teaming up to fight childhood cancer with our friends at The Andrew McDonough B+ Foundation. Our specially-designed ultra cool Black Tag VIP cards are available by auction for a limited time only – and we’re only offering numbers 1 through 31. Set yourself apart from the rest of the VIP card holders with great benefits and the coolest card you’ll carry all summer: the all black LowDigitTag VIP card. Starting Wednesday May 9th, Start bidding and raise money and awareness for children’s cancer. And good luck! The winner will be able to pick up the immediately at the Starboard on May19th or if you are unable to make it, The BLACK TAG VIP CARD will be shipped free of charge once payment is received. 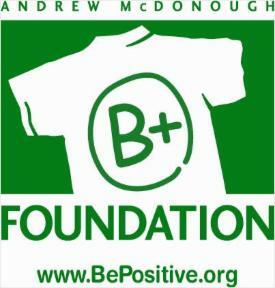 The Andrew McDonough B+ Foundation is able to accept cash, credit card or check.